A Bansky design representation on a deco picture. The dimensions of this design canvas are 80x60 cm. Free 48/72h delivery in metropolitan France for this design picture. 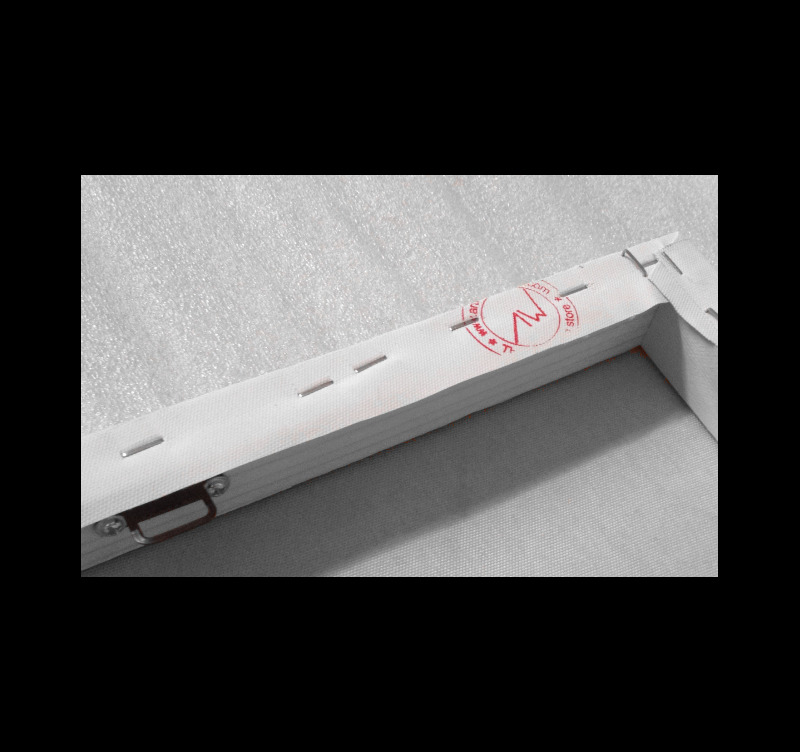 Each modern framework is treated for UV’s and is waterproof. On a blue background to lighten up your home decoration, this design picture of the famous Street Artist Bansky will make you different. 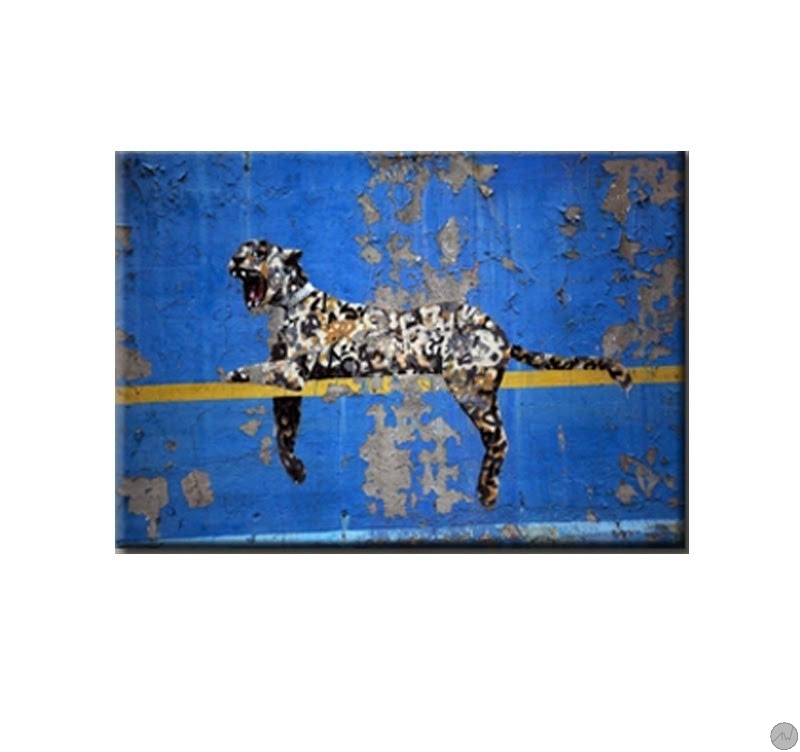 A roaring leopard stretched out on a yellow band enhances the picture with its original colours. This Bansky animal picture also bears tears as if the animal had clawed it. All the decorative pictures of that category are printed on a cotton canvass and stretched on a Canadian pinewood frame. The trendy photo pictures are blister wrapped with cardboard corners and hanging system. All the contemporary pictures are treated for UV’s and damp for a better finish and a long lasting quality.